These visits are critical for proper dental health maintenance. We use hygienists licensed through the state of Colorado to properly clean your teeth and evaluate you for gum disease. 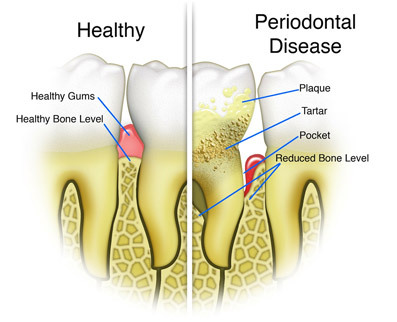 Gum disease, known as periodontal disease, is one of the most common problems that prevent many of our patients from having the smile they want. Most people are completely unaware of periodontal disease because it seldom hurts and therefore we are much less likely to be aware of it. It’s estimated that here in the U.S. 3 out of 5 have people have some form of this disease. During your visit the hygienist will also evaluate how clean your mouth is and likely suggest ways to improve your oral health at home. A dental exam is also performed in which the dentist evaluates soft tissues to ensure that there are no lumps, bumps or discolorations (Oral Cancer Screen). Our dentists at Castle Valley Dental will also evaluate your teeth for cavities, esthetics, and any other anomalies. We always take into consideration your overall health and any other conditions including medications, drug allergies and blood pressure. Enthusiastically helping you achieve your goals through trust, integrity, and kindness.